The British Gazette » Those New Year’s Honours 2018……..
Once upon a time, in a country that must now be regarded as being foreign – it being in the past – the New Year’s Honours were published in yes, you’ve guessed it! The New Year! Alas that tradition has long gone and now the news is leaked to the hacks beforehand! Herewith then, on Saturday 30th December 2017 – by our maths (NOT “math” – Dear US Reader!) is two days before New Year’s Day 2018. 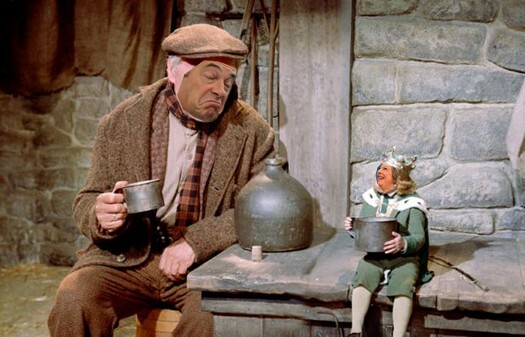 Of course it is said that the officials considered putting Nigel Farage up for a gong but following the procedure of consulting UKIP’s one MP, Mr Douglas Carswell, the idea was scotched due to Mr Carswell putting the kibosh on it. We do not know if there is any validity in this story. If there is, then Mr Carswell will have shown himself to be a small minded and petty fellow but as we say – we have no idea whether the story is fact or fiction. What we do know is that the UK Honours system has been degraded in the minds of the public. Mr Farage can however content himself with the judgement of history. He will be regarded as one of the significant figures in British politics of the first quarter of the 21st Century. Of course many UKIPers will be furious with this snub – as they will see it. They will doubtless campaign and spend time and effort and a little money on trying to recify things. Don’t bother. Apply your energy and time to something more productive. As for posterity and Mr Nigel Farage: There is ONE thing that UKIP COULD do. Commission – for itself, to be hung in the party’s offices – a formal portrait – oil on canvas by a very good artist. It will not be cheap. High quality goods and services NEVER are! For the answer, we suggest a trip to Benningborough Hall just off the A19 north of York. It is a national trust property and contains portraits on loan from the national Portrait gallery of significant figures – cultural and political of the 18th Century. And no, Dear Reader, there is no portrait of a certain Jacob Rees-Mogg therein! Were UKIP to ask it’s members for contributions, we are sure they would get enough to pay a decent artist to do the job. When it is painted it will hange where it will hang. However, in time it might end up in private hands. Were those private hand to donate the painting to the National Portrait Gallery – we are talking about some decades in the future bye the way – Mr Farage will have a fine portrait which the public will be able to look up to – alongside photographs of Madam Mayhem et al! Nigel will then have the last laugh. Albeit from the grave! I like that idea very much and such a prestigious portrait need not be decades in awaiting recognition. I’d happily donate to such a project even though I am not a member of UKIP.